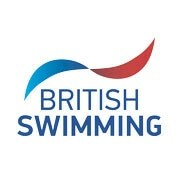 On this page, you can find all documents and information for competitors, coaches or team managers involved with the Swim England National Summer Meet 2019. All coaches, team managers and chaperones wishing to be poolside for national swimming events must have a valid poolside accreditation. Click or tap the following links to download the entry pack, full event schedule, or player declaration form. If you have any additional enquiries, please contact nationalevents@swimming.org.